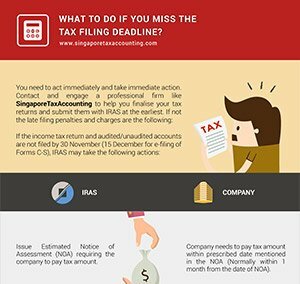 Home > Infographics > What To Do If You Miss The Tax Filing Deadline? What To Do If You Miss The Tax Filing Deadline? 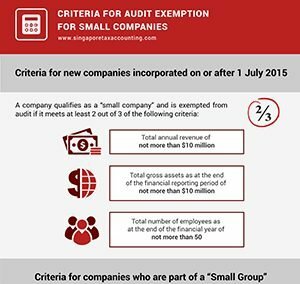 Filing of audited or un-audited accounts as well as tax planning is very important. 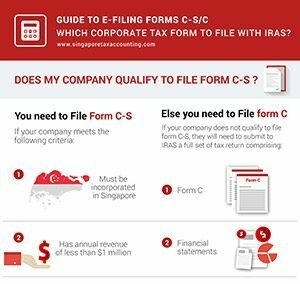 The Inland Revenue Authority of Singapore (IRAS), mandates all corporate taxpayers in the city-state to promptly file their tax returns. Here are the actions to take if you miss the tax filing deadline. 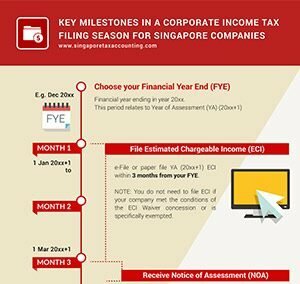 Interested in our Singapore corporate tax filing services? Contact us for a free consultation.